That Wall to wall carpeting in your home or business adds color, warmth and beauty to your home, but when it becomes worn or damaged removing all of that carpeting and the pad underneath and disposing of it can be a real problem. But what if you could just point to that old carpeting and it magically disappear? While we here at Flat Rate Junk Removal can't promise you that we can make your carpeting instantly disappear, we can promise that all you need to do is point at the carpeting you want to be removed and disposed of and we will take care of everything else. 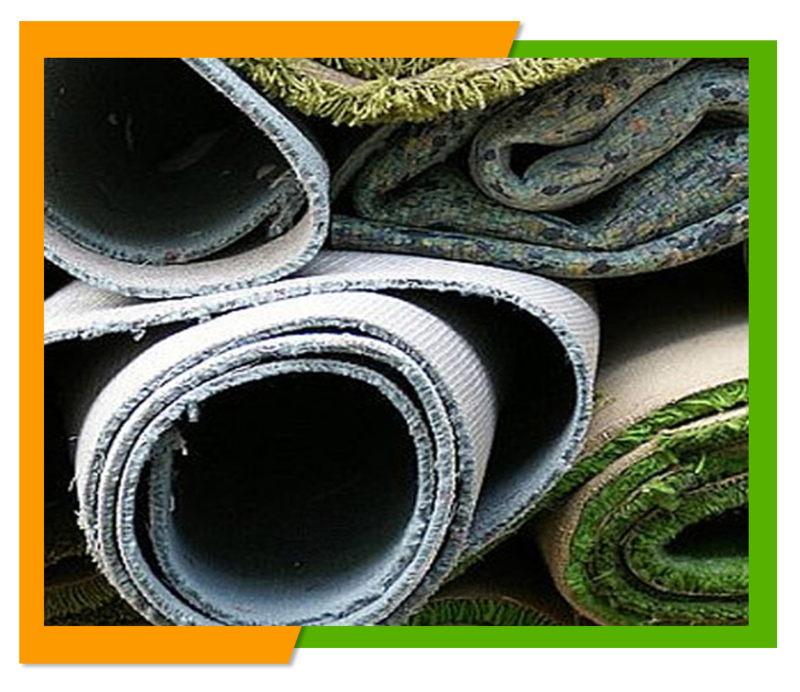 When you hire us to dispose of your carpeting we will come in and examine it throughly and see if any of your carpeting can be salvaged or re purposed, before we remove it. After we have checked out your carpeting we will remove it for you and cart it away and you won't have to lift a finger. We'll take care of the disposal and recycling for you.We handle both residential and commercial carpet removal, so whether you have a small apartment or an entire apartment complex that needs to have it's carpeting removed, we can do it for you. You may be wondering why we make the effort and take the time to recycle as much of your carpeting as possible. There is very good reasons why we do make such an effort. Carpeting is a type of plastic made from fossil fuels. By recycling carpeting we are reducing the amount of waste in landfills and saving on expending more fossil fuel energy in making new carpeting and other products since new carpeting and products can be made from old carpeting. 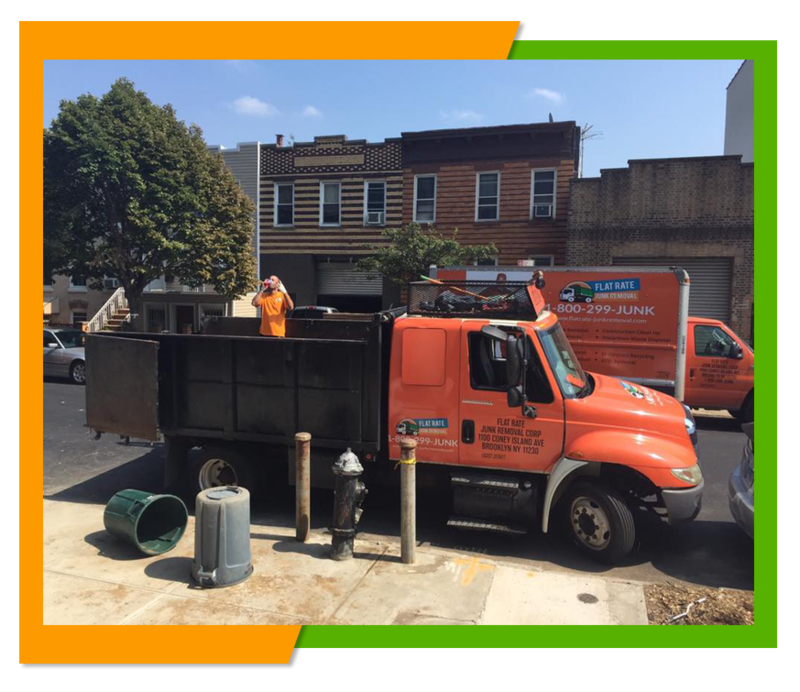 We feel that recycling as much of your old carpeting and other junk as possible we are doing our part for our community, the city and the environment. Unlike other companies who charge higher fees to deal with recyclable material due to the time and effort it takes to sort our these materials and take them recycling plants, we don't add any extra charges for recyclable material, we charge one flat fee whether you have an entire load that needs to be recycled or just a few items. Best of all you know what your cost will be right up front so you won't be surprised when you get your bill to find cost added on here and there. Our estimate of the job, is exactly what you pay. Why not take a few minutes to visit our website at www.flatrate-junkremoval.com and browse through our various junk removal services or you can give us a call at 1-800-299-5865 to ask any questions regarding our services, to get a free estimate, or to schedule a carpet removal appointment. We'll be happy to serve you.